BusyCal can display a live weather forecast and moon phases in your calendar. 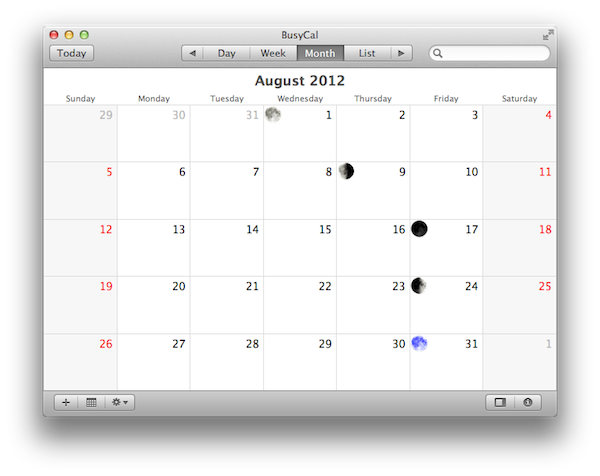 For those showing the moon phases, you may have noticed that the full moon on August 31, 2012 is a blue moon. A blue moon occurs when there's a second full moon in one calendar month. Blue moons are infrequent, hence the term "once in a blue moon", and the next one won't occur until July 31, 2015.